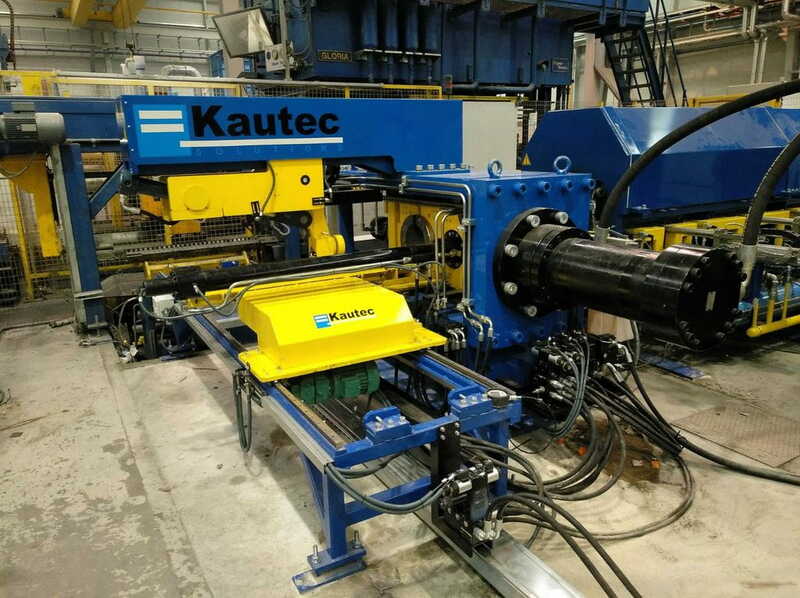 This machine is located at the exit of the ingot furnace and its purpose is to perform hot cutting. 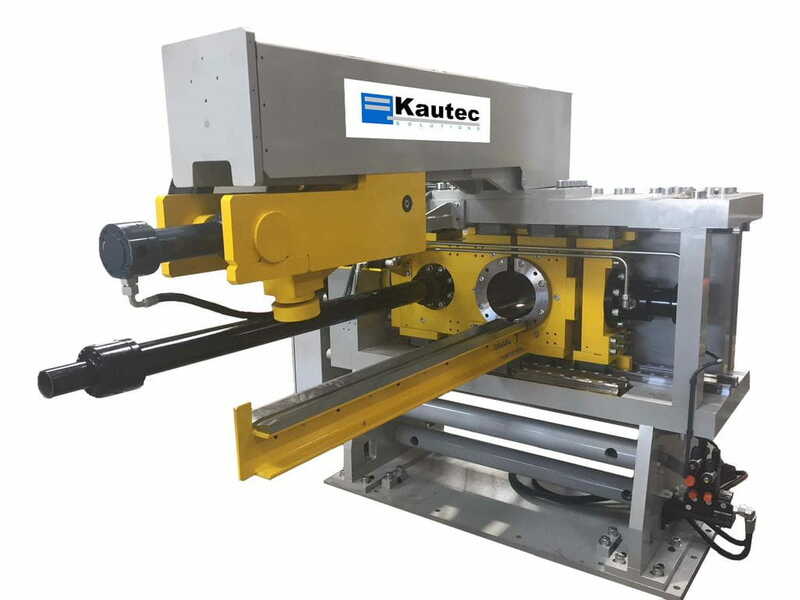 The cut is made through the movement of two sheets and the desired cutting length is guaranteed by a mechanical stop and the cut ingot is placed directly to the press feeder. 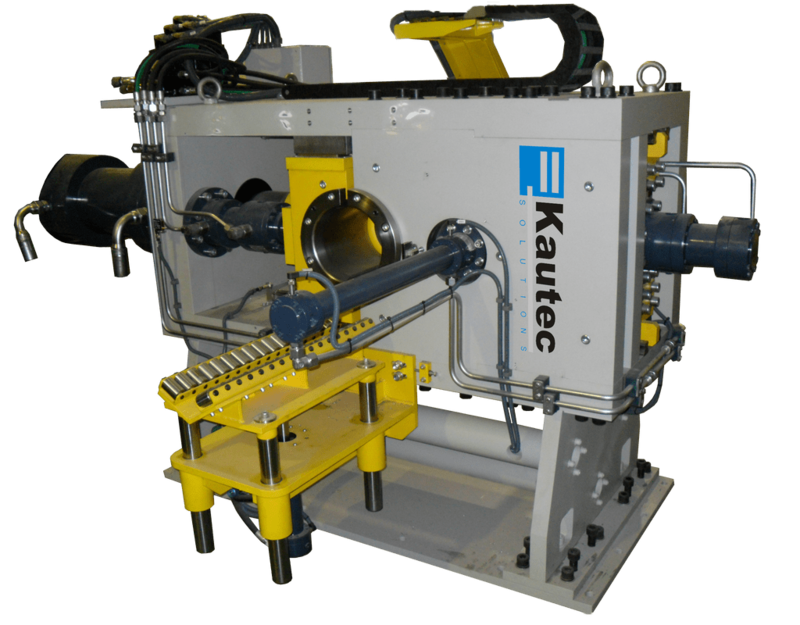 The machine works with a compensation cycle, which allows the optimization of the use of the material, minimizing the scrap. If the residual length of the ingot is not sufficient to obtain an ingot of the established size, the residual part is cut into two segments of equal size.